As part of the Feed the Future initiative, USAID is helping the Government of Tanzania to improve communities’ understanding of land rights, support village land use planning, and clarify, document and certify property rights. USAID anticipates that this program – the Land Tenure Assistance Activity (LTA) – will reduce land-tenure related risks and lay the foundation for sustainable and inclusive agricultural investment for both smallholders and large-scale commercial investors. The program is a positive example of how a USAID investment is catalyzing innovation and partnerships for economic prosperity and self-reliance in Tanzania. By the end of 2019, LTA is expected to have registered – for the first time – over 50,000 parcels, benefiting over 14,000 Tanzanian villagers. 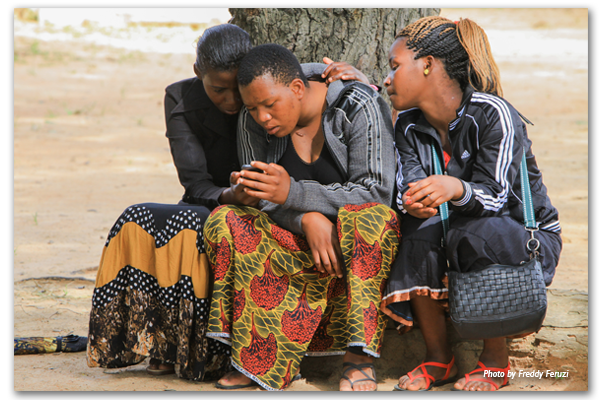 At the heart of the program is USAID’s Mobile Application to Secure Tenure (MAST), a suite of innovative approaches, inclusive methods, and mobile technology tools to efficiently, transparently, and affordably document rights to land and other resources. In addition to Tanzania, USAID is working with other governments and communities to use MAST in Burkina Faso, Myanmar, and Zambia. These days, smartphones and tablets are everywhere, even in some of the most remote villages around the world. To leverage these technologies to meet the challenge of providing affordable, accessible land administration services to rural areas, in 2014 USAID began working with the Tanzanian government and local residents to pilot MAST in Ilalasimba, a small village in Iringa District. 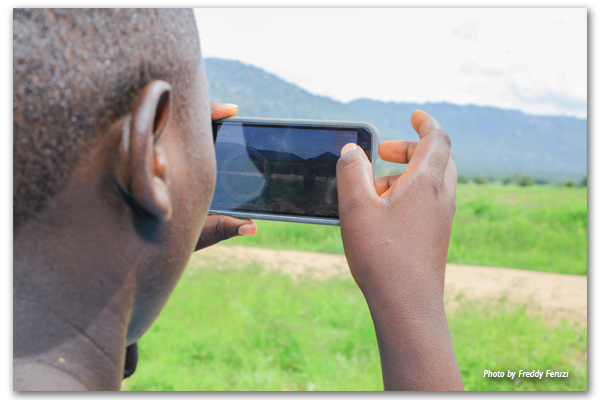 The initial pilot was a proof of concept – to test whether the idea of using low cost mobile technology to map and register land rights would work and could be affordably scaled-up to the rest of the country. In that first village – Ilalasimba – the pilot team mapped, recorded, and registered 910 parcels using MAST, benefiting 345 families. Soon after, the District Land officials issued official land certificates – known in Tanzania as Certificates of Customary Rights of Occupancy (CCROs) – for each parcel. The number of registered parcels increased to 1139 for the second village and 1886 for the third. Importantly, despite early resistance from many men to the registration of women’s land rights, the pilot’s education, training, and outreach activities resulted in parity in land registration between men and women. For example, in Itagutwa village, 33% of the parcels were registered solely in women’s names, while 32% of parcels were registered jointly in women and men’s names. Now, with their land certificates in hand, residents of the MAST pilot villages enjoy greater clarity of their rights, including their parcel boundaries, enhanced tenure security, and stronger incentives to make long-term investments on their land. For example, families are using the certificates as collateral to invest in their businesses. For USAID and the Tanzanian Government, the initial MAST pilot generated many lessons and produced a commitment to continue improving and scaling MAST, given its relative efficiency, low-cost, and user-friendly tools, compared with more traditional adjudication approaches that utilize labor intensive approaches and required expensive equipment and specialized inputs. The initial MAST pilot was judged a success for improving tenure security and in establishing and reinforcing participatory and transparent governance mechanisms at the village level which, in turn, have the potential to lead to greater smallholder and large-scale commercial investments in land. Launching a youth sensitization program in secondary schools. The Government of Tanzania is now exploring opportunities to roll out MAST nationwide. While the Government looks to build a national land information system, which will focus first on the registration and administration of urban land, MAST offers a relatively low-cost, efficient, and user-friendly tool for formalizing customary rights in rural areas. As such, MAST provides an effective and sustainable tool that can easily be made compatible with the national land information system. It may prove beneficial to the Government in contributing to the activities focused on promoting transparency in the administration of rural lands, increasing tenure security, and ultimately enhancing the investment climate in Tanzania. The Government recently decided that the Land Tenure Support Programme, which several European donors support in Tanzania’s Kilombero District, will use MAST and the same implementation protocols as the LTA program to support the systematic adjudication. To learn more about MAST, see the MAST Learning Platform, a knowledge portal with documentation, tools, lessons learned, and best practices from existing MAST projects. The MAST Learning Platform also will feature upcoming MAST activities to be implemented under the USAID-supported Land Technology Solutions Project (LTS) and other USAID programs.